What a year. Not since 9/11 has the U.S. economy shuddered so deeply. The subprime mortgage meltdown hammered financial markets. Ripple effects continue with banks and insurers reporting billion-dollar losses. Meanwhile, energy prices are ticking up. You can almost hear the groans as people shell out $50 for a tank of gas. 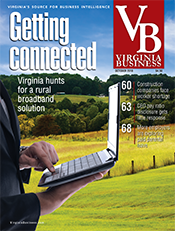 Perhaps this year’s publication of the Virginia 100 will come as reassurance. Fortunes still are being made. Of course, many of the state’s richest and most influential people took hits this past year as the stock market reacted to bad news like a pingpong ball: up one day and down the next. With the slump in the housing industry, people whose companies or products depended on residential real estate ran for cover. But others are weathering the storm nicely. One of the faces new to this year’s list is defense contractor George J. Pedersen. The chairman and CEO of ManTech International Corp. in McLean helped start the company in 1968 with a single Navy contract. Today, ManTech does $1.4 billion dollars in business a year. Also making his debut on the Virginia 100 is George Buchanan Jr. of Danville. From humble beginnings as a plywood manufacturer, Buchanan became rich by selling his business and becoming a hotel/condominium developer in Myrtle Beach, S.C. He got into the market in the mid-1980s and managed to sell for a profit — right before the housing bubble burst. Virginia also gained a couple of new billionaires. William E. Conway Jr. and Daniel D’Aniello, both of McLean, are founding partners and managing directors of The Carlyle Group in Washington, D.C., a private-equity firm that manages more than $81 billion in assets. 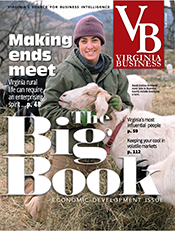 This year, the cutoff point for making the Virginia 100 was $42 million, $3 million less than in 2007. We said goodbye to several longtime members. A drop in stock value knocked some people off the list. Veteran member John T. “Til” Hazel Jr. dispersed much of his wealth through estate planning. And Raj and Neera Singh — billionaires from Alexandria who built their wealth in wireless communications — moved their business and residence to Florida. Death also took a toll. Albert G. Van Metre Sr., founder, chairman and CEO of Van Metre Cos. in Burke, died in March. McLean and Arlington. Talk about a sweet tooth. McLean-based Mars Inc., which brought us M&Ms and Snickers, has agreed to acquire the Wm. Wrigley Jr. Co. for $23 billion, creating the largest confection maker on the planet. Mars, together with Warren Buffett’s Berkshire Hathaway Inc., announced in April that it had reached an agreement to buy the Chicago-based manufacturer of Extra and Orbit gums. The combined company, still subject to regulatory and shareholder approvals, is expected to have $27 billion in global sales. Continuing to preside as chairman over family-owned Mars is John Franklyn Mars, 72, who lives in Arlington. Mars and his two siblings — Forrest Edward Mars Jr., 77, of McLean, and Jacqueline Badger Mars, 67, of The Plains — rose from the No. 21 spot to No. 19 on the Forbes 400 List of the wealthiest Americans last year, possessing an estimated $14 billion. Jacqueline donated $25,000 last year to the Virginia League of Conservation Voters, an environmental advocacy group. McLean. 58. The co-founder of The Carlyle Group spends his days analyzing business opportunities for investors of the Washington, D.C-based private equity firm. But on his way to work, Conway is more concerned for those who have little material wealth. He chats with Washington’s homeless residents, according to The Washington Post. These conversations inspired him to donate $5 million in January to a Washington organization, So Others Might Eat, which helps the homeless. Conway’s dona­­­­­­­­-tion will be used to leverage $125 million from other sources to build residential space for the city’s homeless population. Conway, managing director of Carlyle, founded the equity firm with Daniel A. D’Aniello and David Rubenstein in 1987. It has become a massive global firm, investing in 60 funds and managing more than $81 billion in assets. It has become a massive global firm, investing in 60 funds and managing more than $81 billion in assets. In May, the Carlyle Group announced that it was buying a majority stake of the U.S. government business of McLean-based Booz Allen Hamilton for $2.54 billion. Earlier this year, the company’s publicly traded Carlyle Capital firm collapsed amid the credit market turmoil, hurting Carlyle’s stellar reputation. Forbes magazine included Conway in this year’s list of the world’s wealthiest billionaires, ranking him No. 462 with a net worth of $2.5 billion. McLean. 61. The co-founder of the global private equity firm, The Carlyle Group, started with meager beginnings. He told Syracuse University Magazine that he grew up with his single mother in Butler, Pa., and their annual household income never reached above $6,000. He attended Syracuse University, which offered him a scholarship. One of the managing partners of The Carlyle Group, D’Aniello has given back to his alma mater, establishing The D’Aniello Endowed Fund for Entrepreneurship. It can be used for student scholarships and other needs at the school’s entrepreneurship program. He also donated money to create the D’Aniello Entrepreneurial Internship Program, which offered 20 internships this year to students who worked directly with executives or entrepreneurs. D’Aniello founded Carlyle with David Rubenstein and William E. Conway Jr. Carlyle manages $81 billion in assets in 60 funds for more than 1,200 investors from 63 countries. The hedgefund says it has earned investors an average of 30 percent each year since the company was founded in 1987. According to Forbes magazine, D’Aniello is worth $2.5 billion. Virginia Beach. 81. The retired chairman and CEO of Norfolk-based Landmark Communications continues to serve as a director at the privately held media company. The company is considering a strategic plan that may include selling its assets. 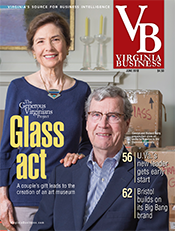 Batten, a 1950 economics graduate of U.Va., has pledged $100 million to establish the Frank Batten School of Leadership and Public Policy at the school. His U.Va. donation helped land him and his wife, Jane, at the No. 32 spot on BusinessWeek’s 2007 list of the 50 Most Generous Philanthropists in America. The magazine estimated the couple gave or pledged a total of $314 million between 2003 and 2007. According to Forbes magazine, Batten ranks as the 503rd richest person in the world with $2.4 billion. Virginia Beach. 48. She continues to serve as president of The Johnson Family Foundation, which donates to causes in Virginia and Racine, Wis., where the foundation and her late father’s company, SC Johnson & Son, is based. Some of the foundation’s recipients include fire and rescue departments, Cornell University and the Prairie School, a college prep school in Racine. Johnson-Marquart inherited $1.5 billion when her father, Sam Curtis Johnson, died in 2004. Forbes ranked her No. 553 on this year’s list of the world’s billionaires. 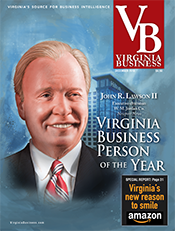 Johnson-Marquart is on the boards of the Johnson Financial Group and the Norfolk Academy. Radford. 53. It has been a big year for billionaire Randal J. Kirk. Since selling his 50 percent stake in New River Pharmaceuticals for about $1.2 billion in 2007, the entrepreneur and investment manager landed on two of Forbes’ most prestigious lists: The Forbes 400 of the richest people in America and the magazine’s list of billionaires. He continues to make headlines in Virginia as well. In February, Gov. 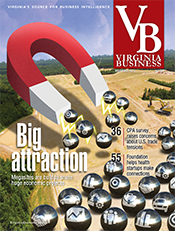 Timothy M. Kaine named Kirk Virginia’s Outstanding Industrialist for the Year. Since the sale of New River, which concentrated on improving versions of widely prescribed drugs, he continues to work in pharmaceuticals through his private investment firm, Third Security LLC, located in Radford. Kirk has donated lots of money to political candidates and political action committees in Virginia. According to the Virginia Public Access Project, he gave $627,000 in 2007, with most of the money, $585,000, going to Democrats, including a $350,000 donation to Moving Virginia Forward, Kaine’s PAC. In 2008, he gave the PAC another $100,000. Kirk serves as rector of the board of visitors at Radford University, where he earned his undergraduate degree. The Plains and Arlington. 58. Construction began this year on Johnson’s much-anticipated $130 million Salamander Resort and Spa in Middleburg. The 340-acre resort is scheduled to open in 2009. Johnson continues to grow her hospitality and business empire. Salamander Hospitality, of which she is CEO, added the Innisbrook Resort and Golf Club in Palm Harbor, Fla., to its portfolio. Johnson, co-founder of Black Entertainment Television (BET), is a well-known philanthropist who says she has given away more than $26 million. She serves as a global ambassador for CARE, a Washington, D.C., organization that empowers women to fight global poverty. In 2007, she donated $4 million to the organization. She’s also bringing attention to poverty through films. Johnson served as an executive producer of “A Powerful Noise,” which profiles the fight of three women to overcome poverty and gender barriers. Another big event this year was the opening of the Sheila C. Johnson Design Center at the Parsons School of Design in New York. She donated $7 million for the project, which creates a new center and additional space for public gatherings, meetings and exhibitions. Crystal City and Washington. Robert H. Smith, 79, and his brother-in-law, Robert P. Kogod, 76, continue to serve on the board of directors of Vornado Realty Trust. In March, Vornado completed the sale of its 48 percent interest in Americold Realty Trust, a deal expected to bring $110 million. In the meantime, Vornado/Charles E. Smith has more than 15.9 million square feet of office properties. The firm was started by the late Charles E. Smith in 1946. Smith’s son, Robert H. Smith, has been active in charity, and this year made contributions to the University of Maryland, Monticello and the Wilmer Eye Institute at Johns Hopkins University, as well as to political candidates. In November 2007, the Smithsonian’s Donald W. Reynolds Center for American Art and Portraiture unveiled the $63 million Robert and Arlene Kogod Courtyard, $25 million of which was donated by Kogod. McLean. 46. Hunt, the co-founder, president & CEO of RS Information Systems Inc. sold the company this year to Wyle, a Southern California company that specializes in aerospace engineering. According to BlackEnterprise.com, Hunt owned 75 percent of the company and estimated that his share of the sale was in the $800 million to $1.2 billion range. RSIS specialized in information technology, science, engineering and management consulting and had annual revenues of more than $300 million. Fredericksburg. 82. The 2.4-million-square-foot Celebrate Virginia commercial, residential and entertainment complex in Fredericksburg could get even bigger. 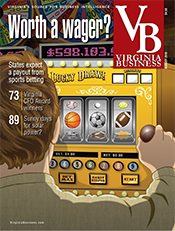 A proposed $230 million Kalahari Resort water park could help Fredericksburg become the tourism mecca that The Silver Cos. — Celebrate Virginia’s developer — envisioned. Wisconsin-based Kalahari Resorts wants to build a project that includes a 125,000-square-foot indoor water park, 100,000-square-foot conference center and 700 hotel rooms on 49 acres adjacent to the Fredericksburg Expo & Conference Center. The Fredericksburg City Council agreed in April to give the project tax incentives for 20 years. Silver, the founder of the Silver Cos., is no longer involved in day-to-day operations after turning over the reins to his son, Larry. The Silver Foundation donates to many local charities, including the Rappahannock United Way, the Boys & Girls Clubs and the American Red Cross. McLean. 57. The chairman and CEO of Capital One Financial Corp. built this credit card company into a diversified financial services company that’s now the 13th largest bank in the U.S. with assets of $150 billion. During the past year, Capital One was hit with rising loan losses as a result of the subprime mortgage crisis, and its stock lost more than 30 percent of its value. The company wrote off $508 million in loans from its $148.5 billion portfolio in March, largely due to delinquent credit card debtors. Capital One’s first-quarter earnings in 2008 fell to $548.5 million from $675 million in the same period last year. Since 1997, Fairbank has given up salary and other cash incentives in exchange for options or performance-based shares. Fairbank is a partner in Washington, D.C.-based Lincoln Holdings LLC, an investment partnership that owns the NBA’s Washington Wizards, the Washington Capitals pro hockey franchise, and Washington’s Verizon Center. Richmond. 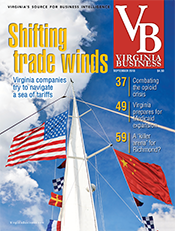 The Gottwald family owns significant stock in three publicly traded Richmond companies — Albemarle Corp., Tredegar Corp. and NewMarket Corp. William M. Gottwald, 60, currently is chairman of Albemarle, a specialty chemicals manufacturer. (He will become vice chairman in August, and the company plans to transfer its headquarters to Baton Rouge, La., by the end of the year.) 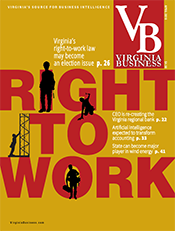 His father, Floyd D. Gottwald Jr., 85, has been director emeritus and chairman emeritus since retiring from the Albemarle board in April 2007. Another son, John D. Gottwald, 53, is CEO of Tredegar, which manufactures film and aluminum extrusions. The Gottwald family controls 23.15 percent of Tredegar’s stock. Floyd Gottwald’s younger brother, Bruce C. Gottwald, 74, is chairman and former CEO of NewMarket, a holding company for two fuel-additive manufacturers — Afton Chemical Corp. and Ethyl Corp. His son, Thomas E. “Teddy” Gottwald, 47, is president and CEO of NewMarket. Bruce Gottwald’s wife, Nancy, served as 2007 Christmas Mother for Richmond, helping to raise a record $325,000 for the holiday charity fund. Norfolk. 49. A cloud of uncertainty hangs over Landmark Communications Inc. Batten, chairman and CEO, is exploring the possibility of selling the assets of the family-owned company. Landmark has hired investment firms JP Morgan and Lehman Brothers to gauge interest in the sale of its newspapers, television stations and its most valuable holding — The Weather Channel. On its own, the channel and its accompanying Web site, http://www.weather.com could, net company owners $4 billion. Landmark has invested in several emerging businesses, such as Continental Broadband Inc., a managed data network services company, and Landmark Education Services in Norfolk, which owns career schools focusing on allied health. Batten channels his philanthropic efforts through The Aimee & Frank Batten Jr. Foundation, which donates to many local organizations, including the Norfolk Christian Schools. McLean. 71. ManTech International Corp., a defense and intelligence contractor that started with a single U.S. Navy contract, today is responsible for guarding some of the U.S. military’s most important intelligence. The company creates and supports the telecommunications systems used in Operation Iraqi Freedom and builds and maintains databases that track terrorists. Pedersen, ManTech’s chairman and CEO, co-founded the company in 1968 on a contract to build war-gaming models for the Navy, according to Washington Technology.Today, ManTech is a publicly traded company that employs more than 7,000 people. The company reported $1.4 billion in revenues in 2007. ManTech provides national security programs for many federal government agencies and sectors, including the intelligence community, space community and departments of Defense, State, Homeland Security and Justice. The company ranked No. 68 on BusinessWeek.com’s 2007 list of the fastest-growing technology companies in the U.S. Pedersen sits on the boards of the National Defense Industrial Association, the Institute for Scientific Research and the Association for Enterprise Integration. Pedersen owns more than 14 million shares of ManTech. P. WESLEY “WES” FOSTER JR.
McLean. 74. Today’s struggling real estate market is unlike any other slowdown Foster has seen. The founder of Long & Foster Cos., the nation’s largest, privately owned real estate brokerage, recently told The Washington Post, “Right now we’re fighting for our lives … we’re closing offices, laying off people. 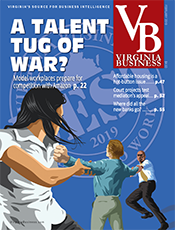 We’re going to make it, but never in 40 years have we lost money … though we’re fighting like hell not to.” To make up for the decline in real estate sales, the firm increasingly relies on side businesses such as settlement services and mortgages. Its total sales volume for 2007 was $61 billion, down 6 percent from the previous year. Acquisitions such as the purchase of W.C. & A.N. 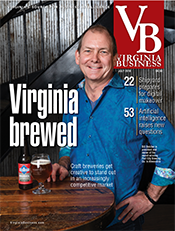 Miller Development, with 400 employees in Maryland and Virginia, helped fuel growth and expansion into the high-end market. 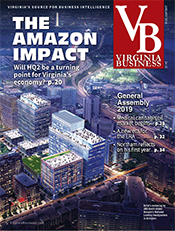 The company’s corporate offices are moving from Fairfax to a new 280,000-square-foot headquarters in Chantilly this month. Foster, a longtime supporter of Virginia Military Institute, where he graduated in 1956, was appointed to the school’s board of visitors last year by Gov. Timothy M. Kaine. Burke. With the March 2 death of real estate developer and philanthropist Albert G. Van Metre Sr. at age 82, his son, Beau Van Metre, says he has not only “lost a father, but I’ve lost a best friend as well. We were best friends as well as business partners.” The founding chairman of the Van Metre Cos., Albert Van Metre started in 1955 by purchasing two empty lots and building houses on them. Fifty-three years later, the Van Metre Cos. are worth nearly $1 billion, having built some 15,000 homes in the Northern Virginia/Washington, D.C., area. Beau Van Metre, 60, has moved up from vice chairman to chairman of the Van Metre Cos. From 1970 to 1984 the father and son team took up yachting, eventually winning every major race on the East Coast with their famous 60-footer, Running Tide. They also flew airplanes together. In the stalled housing market, the Van Metre Cos. remain profitable by focusing more on commercial development, says Beau Van Metre, whose son, Chris, now works for him as a project manager. *Estate of Albert G. Van Metre Sr.
McLean. 52. He remains as vice chairman emeritus of AOL through next year, but the post these days is in title only. Leonsis has moved on, getting back into business with for mer AOL colleague Steve Case. Leonsis serves as chairman of two new start-ups, Revolution Money and Clearspring Technologies. He also continues to support local charities such as Best Buddies. McLean. 71. The chairman and CEO of Vienna-based Clemente Development Co., a longtime player in commercial real estate in metropolitan Washington, announced the formation of a new private equity fund in April. The CDC Real Estate Opportunity Fund I is designed to take advantage of investment opportunities in commercial real estate created by recent turmoil in the global financial markets. Clemente said in a statement that he hoped to leverage the fund to $2 billion by 2009 when he believes asset values will be lower. “Our funds intend to capitalize on the results of this ‘Perfect Storm’ as commercial real estate begins to trade at prices based on net operating income instead of prices based on unrealistic projections of future rental rates and income,” he said when announcing the fund. Richmond. Since the death of Robey W. Estes Sr. in September of 2006, Estes’ son, Robey W. Estes Jr., has taken over the family business. Still one of the top 25 carriers in the transportation industry, Estes Express Lines trucking and shipping services has had an impressive year. Besides opening 13 new terminals throughout the Midwest and earning top safety awards from the American Trucking Industry, the Richmond-based company also created a new subsidiary, Estes Air Forwarding LLC. Richmond. The late E. Claiborne Robins Sr., who headed A.H. Robins Co., began the family’s philanthropic efforts in the late 1960s with a $50 million gift to the University of Richmond, his alma mater. Matriarch Lora Robins, son E. Claiborne Robins Jr. and daughters Ann Carol Robins Marchant and Betty Robins Porter serve as directors of the family’s foundation. In 2007, the family’s Robins Foundation disbursed $7.4 million in grants. In 2008, the foundation gave $8 million to the University of Richmond for its new, on-campus stadium and for its Westhampton Center, which will serve women students. The foundation gave $1.6 million to the North Richmond Partnership for Families, an organization supporting early childhood development. Both grants were multiyear commitments. Claiborne Robins Jr. also runs E.C. Robins International Inc., which has interests in wine imports and an air charter. It also continues the family’s interest in pharmaceuticals with its ECR Pharmaceuticals subsidiary. Grundy and Bristol. James W. McGlothlin, prevailed in a highly publicized 2007 battle with the College of William & Mary. The W&M law school alum and former member of its board of visitors revoked a $12 million pledge to the college last year in response to then-W&M President Gene Nichol’s decision to remove a cross from permanent display in Wren Chapel. Nichol later resigned, in part because of the controversy over the cross and other matters. McGlothlin’s family made its fortune from coal, and Jim continues to head the United Coal Co. as chairman and CEO. McGlothlin’s brother, Michael McGlothlin of Grundy, ran an unsuccessful campaign last year for the Democratic nomination for the 3rd District seat in the House of Delegates. He also serves on the board of visitors for the Appalachian School of Law and the University of Appalachia College of Pharmacy. Another brother, Thomas D. McGlothlin, leads the McGlothlin Foundation which donates to a number of charities, including $25,000 annual awards for high-achieving teachers in the area. Upperville. Bertram R. and Diana Johnson Firestone, both 76, have joined with other owners of Kentucky Derby winners to call upon Congress to pass the American Horse Slaughter Prevention Act that would ban the transportation and slaughter of horses for human consumption. The resolution is currently stuck in subcommittees in Congress. The Firestones own the oldest living Kentucky Derby winner, Genuine Risk, who won in 1980 and was only the second filly to win the race. At 30 years old, she lives on the Bertrams’ 400-acre Newstead Farm. Bertram, who made his fortune in real estate and breeding horses, and Diana, a Johnson & Johnson fortune heiress, continue to be active on the equestrian circuit. Great Falls. 48. Ramsey, the chairman and CEO of hedge fund Ramsey Asset Management, began a three-year term as chairman of the George Washington University board of trustees in July. Ramsey is a 1981 GW School of Business graduate and has been on the board of trustees for 10 years. His firm provides research support and expertise to students who are selected to manage the Ramsey Student Investment Fund, an investment portfolio that he and his wife, Norma, started with a $1 million gift. The W. Russell and Norma G. Ramsey Foundation has supported programs for at-risk families, including four-year scholarships through the D.C. Capital Area’s Big Brothers Big Sisters program. Ramsey also sits on the boards of JER Investors Trust and the National Geographic Council of Advisors. Bristol. After battling for several years with environmentalists over a proposed Florida golf course development that includes 645 acres of wetlands in a 1,700-acre tract, former Nicewonder Coal Group co-owner J.D. Nicewonder has turned his attention to political and charity work. He is still active in the Republican Party alongside brother Don Nicewonder, with the Nicewonder family donating more than $190,000 to Republican campaigns since 1996. Four Nicewonder members currently belong to the Ut Prosim Society, Virginia Tech donors who have contributed $100,000 or more to the school.